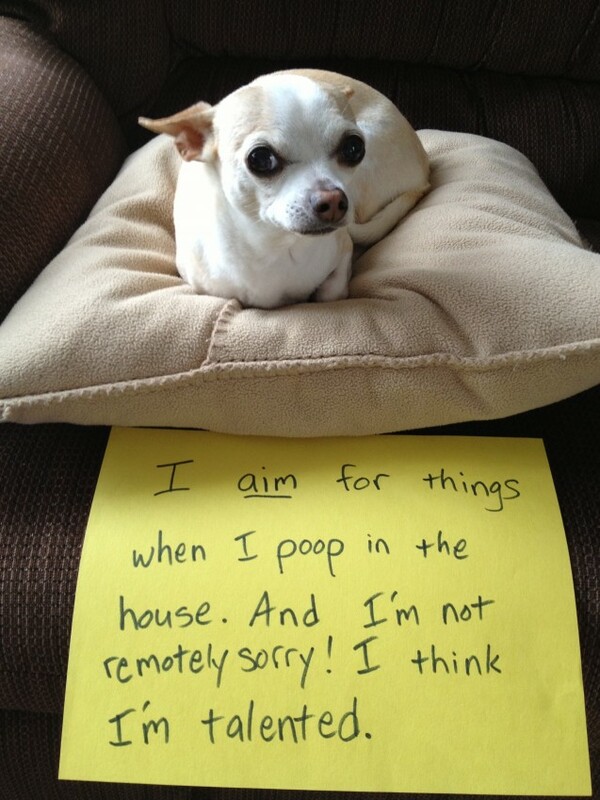 I aim for things when I poop in the house. 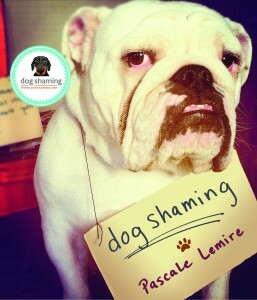 I’m not remotely sorry–I think I’m talented! Things Gizmo has pooped on/in: vacuum, Matchbox cars, Fisher Price Little People, in numerous shoes, books, in a basket, on a Thomas train track, in a potted plant, and the list goes on and on. She has spectacular aim. I don’t know how she does it! She is so precious on her little princess pillow! Sorry Gizmo, I meant she! I had to laugh at this one…our Boston does the same thing! The kids toys that are left outside usually have a present laying on them. Well, I guess if its’ solid, its’ easier to clean up and disinfect the items than urine. I think Gizmo is trying to “mark” her territory. Duke the dog has a favorite bush in the back yard. It’s a true “yucca “. My chihuahua, Piglet, does the SAME thing – inside shoes, on top of baseball hats, on the keys of an electronic keyboard, in a crumbled up shirt, on a Pokemon card, on top of a toolbox, etc. I thought she was the only one! What a cute picture! why isnt she house trained? An old foster dog of mine used to poop in the dog dish of one of my dogs she didn’t like. They are not stupid animals. Gizmo is too cute for words. She is truly talented, very loving and sweet. I am proud to admit she is my grand dog. Aww, thank you, Grandma D! Love you!